sailboat. : Tag: Colours of the Rainbow! This is one of the cutest tags I've seen in a really long time, if you haven't seen it (but I'm sure you have!) then you take all the colours of the rainbow (red, orange, yellow, blue, green, indigo & violet) plus pink and multi-coloured and talk about your favourite beauty or fashion item that fits with those colours. I'm going to preface this with the fact that I've used some of these colours very loosely, I wanted to stick with a beauty theme & finding indigo and multi-coloured products in my collection is pretty impossible as I've discovered! Anyway, lets get started! 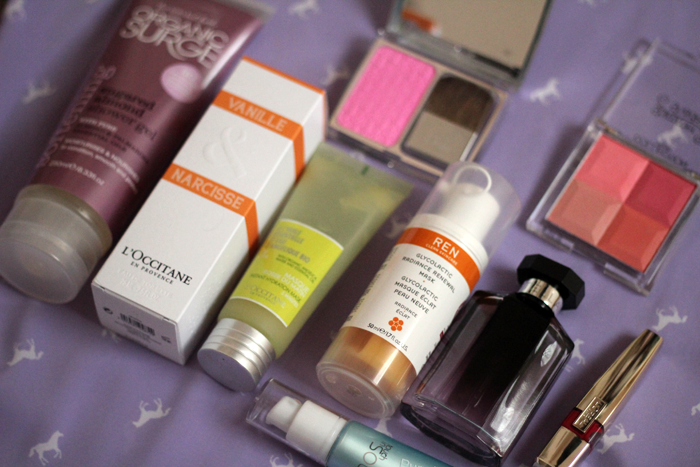 I had to pick a lip product for this one and my current favourite is the L'Oreal Glam Shine Stain Splash in Juliet. It's the perfect, wearable red colour because you can apply a light layer with your finger for a slight tint of colour or you can apply a few layers to get a really intense pop of colour. It's beautiful & it smells like cherry sweeties - yummy! 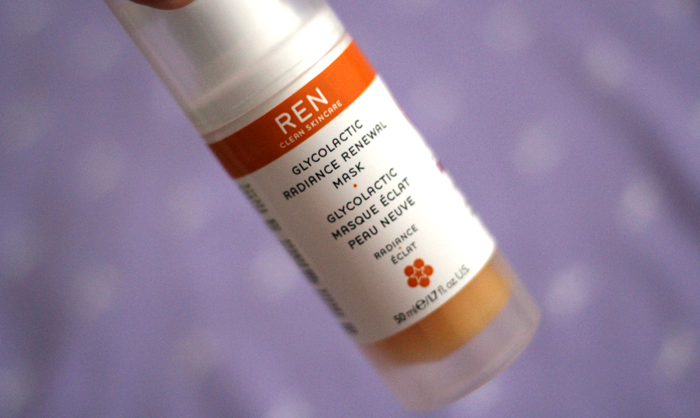 If you're looking for a face mask that will really help to improve the overall look of your skin then the Ren Glycolactic Mask♦ is the one for you! There's no denying it's on the pricey side and I usually stick to more affordable masks but this one really works and believe me, I was skeptical! I use this about once a week usually in the evening, when I wash it off my skin feels instantly baby soft and for the next few days it looks more radiant and even. An investment product but completely worth it! This is where my use of colours starts to get a little vague, this is the L'Occitane Vanille & Narcisse fragrance♦ from the new La Collection de Grasse range and it's sort of yellow in colour...sort of. 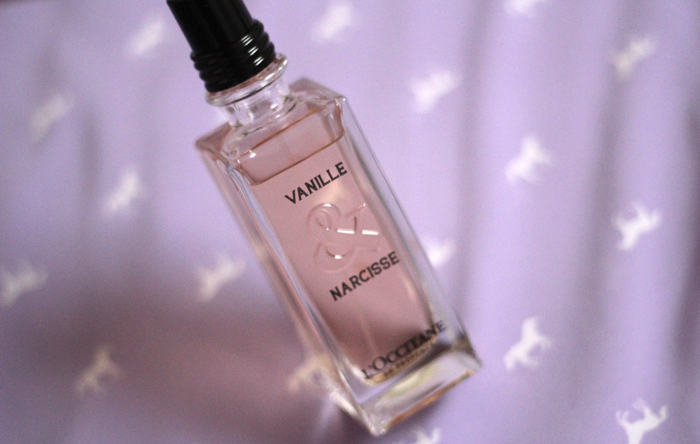 This is very different to the fragrances I usually go for (floral, light & girly) and it's making a nice change. The base notes of vanilla really come through when the scent settles on the skin and it has the right amount of depth that makes it perfect to wear in the evenings. 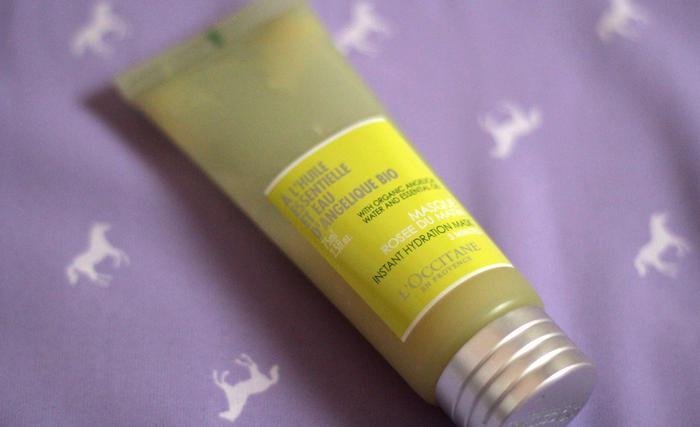 Another L'Occitane favourite is the Angelica Instant Hydration Mask, this is my third tube and it's incredible. When my skin needs an instant hydration boost I reach for this, leave it on for 10 minutes and when I rinse it off my skin feels more comfortable and moisturised. This is a real staple in my skin care collection. I think I have finally found a BB cream that matches my skin! This was in the package of goodies that the guys over at Touch In Sol sent me and it's shown me that Western highstreet BB Creams just don't compare. 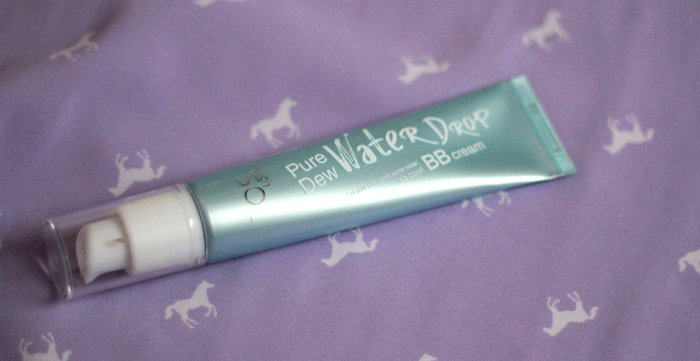 This Pure Dew Water Drop BB Cream♦ gives really great coverage without feeling heavy at all, I need to try it out for a little longer but so far, so good! So, this isn't really indigo, it's pretty much just purple but I couldn't find anything else. 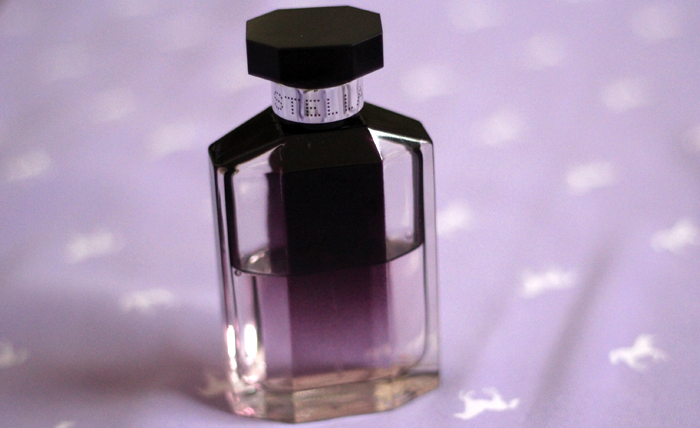 Stella by Stella McCartney is my all time favourite fragrance, it's a real classic and I really hope they never stop making this because I think I may cry! This isn't technically really violet either, but just go with me on this one! I adore anything almond scented and this is the second bottle of the Organic Surge Sugared Almond Shower Gel I've gone through, I love it that much. It leaves my skin feeling soft and hydrated, which I love and Organic Surge is one of my favourite natural skin care brands. Trying to stick to a beauty theme with this tag is super difficult when it comes to trying to find a multi-coloured product and this was the closest I could find. The Collection Shimmer Shades in Blushalicious has 4 shades, a light pink, a dark pink, a peach and an orange/coral that can be used individually or mixed together to create the perfect peachy pink. 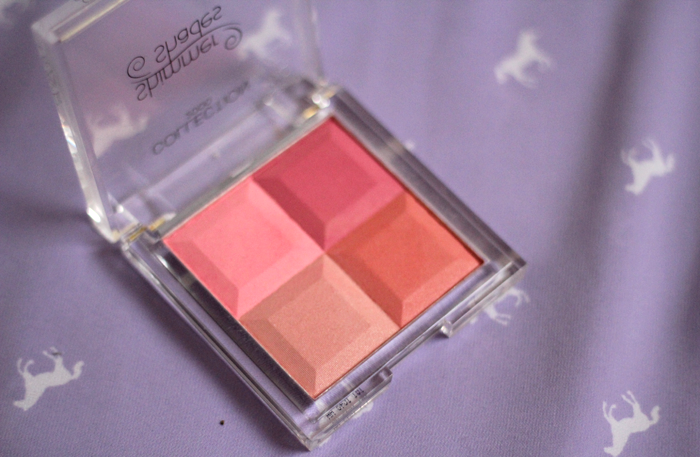 I absolutely love this blush and it's so affordable! I would love to try the REN mask since I've heard so much people raving about it :) Great post! What a fun tag! 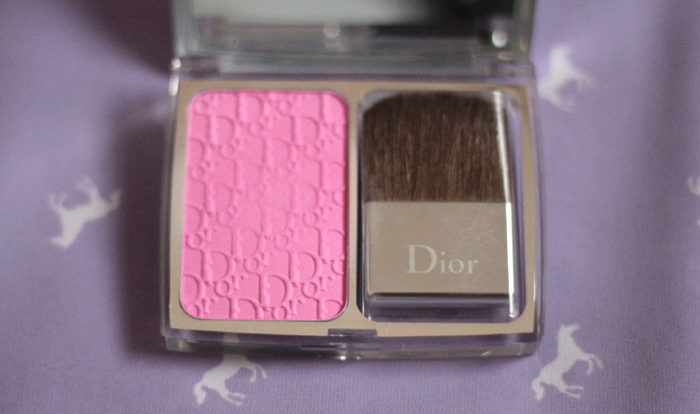 That L'Oréal lip stain and Dior blush are gorgeous! I'm really enjoying this tag and I'm tempted to have a go at it myself! The L'Occitane Fragrance sounds delicious....I must track it down and have a sniff! 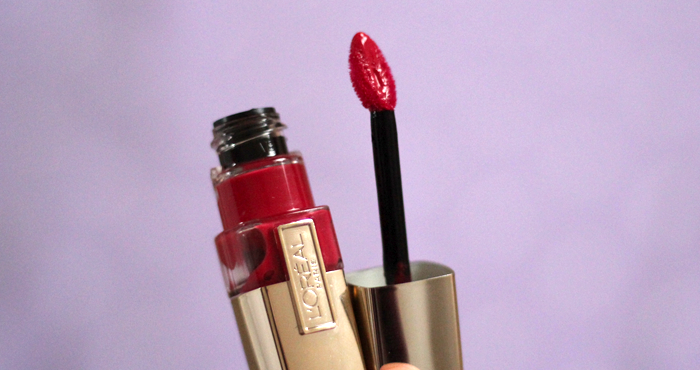 oh I <3 These caresse glosses! Even I wear brighter shades with them now!